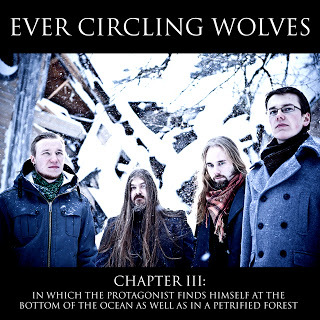 Ever Circling Wolves are a Finnish death/doom/sludge band called Ever Circling Wolves. Back in 2009 they put out a very impressive album titled 'The Silence From Your Room' in 2011 they put out a two track ep and at this very moment are hitting the studio for their next full length. If you are a fan of the death/doom genre then be sure to give this a listen. Want more Ever Circling Wolves?